!NEW! The Tips Page !NEW! 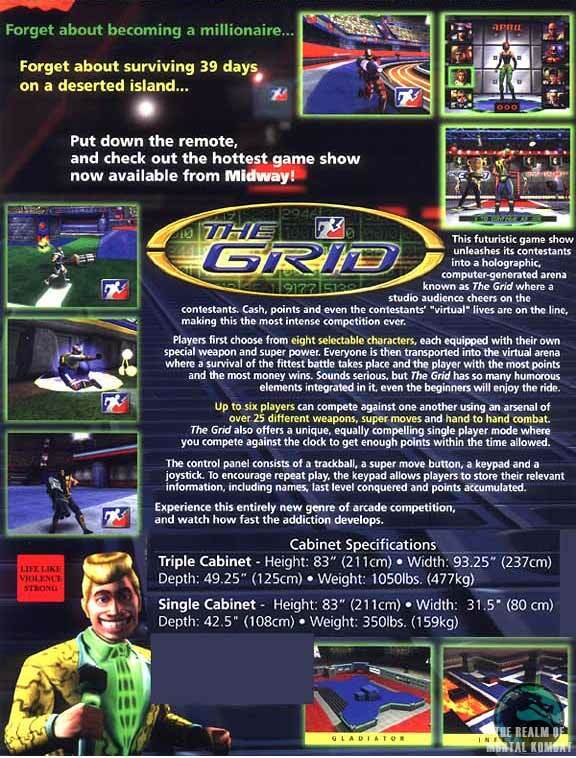 Welcome to TRMK's The Grid Pages, here we will be covering all forms of information on the MK Design Team's new virtual sports arena arcade shooter game for Midway named The Grid. If you have any information to contribute to this area, please send them to Patrick McCarron at patrick@trmk.org. A special thanks goes out to Ed Boon, John Vogel, Mike Taran, and the rest of The Grid Design Team for all the support they have given us and the great work they have done on the game. Keep up the good work guys. Put down the remote, and check out the hottest game show available from Midway! This futuristic game show unleashes its contestants into a holographic computer-generated arena known as The Grid where a studio audience cheers on the contestants. Cash, points and even the contestants "virtual" lives are on the line, making this the most intense competition ever. Players first choose from eight selectable characters, each equipped with their own special weapon and super power. Everyone is then transported into the virtual arena where a survival of the fittest battle takes place and the player with the most points and the most money wins. Sounds serious, but The Grid has so many humorous elements integrated in it, even the beginners will enjoy the ride. Up to six players can compete against one another using an arsenal of over 25 different weapons, super moves and hand to hand combat. 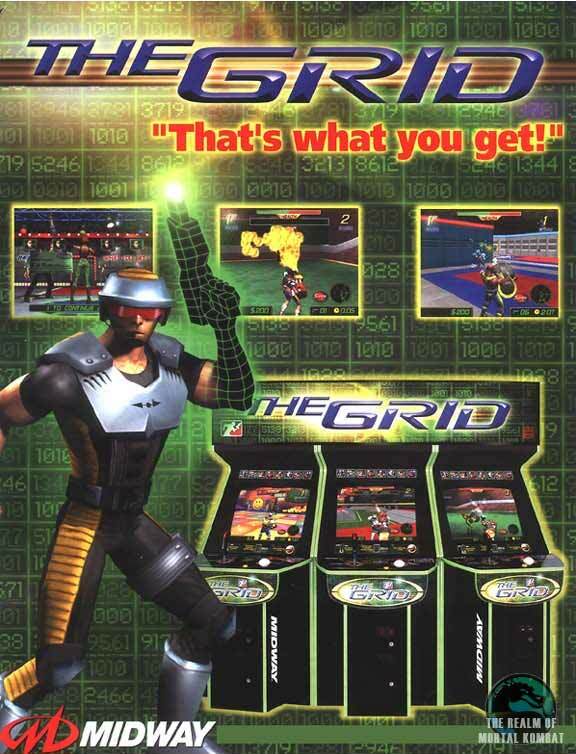 The Grid also offers a unique, equally compelling single player mode where you compete against the clock to get enough points within the time allowed. The control panel consists of a trackball, a super move button, a keypad and a joystick. To encourage repeat play, the keypad allows players to store their relevant information, including names, last level conquered and points accumulated. Experience this entirely new genre of arcade competition, and watch how fast tthe addiction develops.